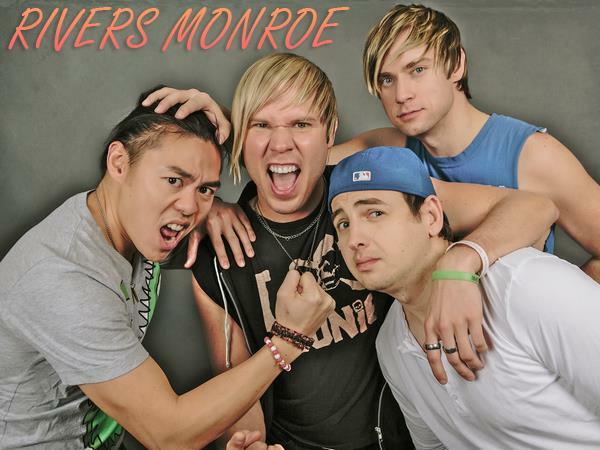 Join us this week as we welcome the Pop Rock band, Rivers Monroe. Following a long run on the 2015 Warped Tour, they emerged as one of Philadelphia's most popular new bands and is supported by an increasingly fervent local and national fan-base, known as the RM aRMy! Defined by their energetic, driving, mainstream brand of music, flavored with a fresh rock and pop/punk mixture, they have captured the attention of thousands of listeners along the East Coast and beyond. With their most recent album "Smart Girls" the band has raised the bar with a collection of hook-driven and inspiring songs. Anchored by the infectious vocal-driven singles “Satellite” “Hero Inside,” and "Sweat," which echo the best of Fall Out Boy, All Time Low, All-American Rejects and Maroon 5, Rivers Monroe is stacked from beginning to end with anthems for airplay. Armed with catchy hooks, passionate lyrics and energized performances, the band toured the U.S. last summer with MTV buzzband The Nearly Deads and has shared the stage with many Grammy-winning and multi-platinum selling artists, opening for Paramore, All Time Low, Fun., Incubus, Phoenix, The Wonder Years, Passion Pit, New Found Glory, twenty | one | pilots, Jennifer Paige, Silversun Pickups and AllStar Weekend. The band is currently preparing to do a full US tour with SayWeCanFly. We will talk to Rivers Monroe about their upcoming schedule, get a behind their scenes look at their music, feature their latest songs, and ask them to share their message for the troops. Please be sure to visit Rivers Monroe at http://riversmonroe.com/ and spread the word. Fans are welcome to call in and speak live with them during the show (718) 766-4193. As always we will give shout outs to our deployed military listeners. Our message to the troops: WE do what we do, because YOU do what you do.